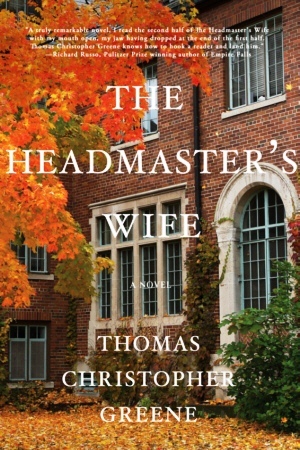 An immensely talented writer whose work has been described as “incandescent” (Kirkus Reviews) and “poetic” (Booklist), Thomas Christopher Greene turns in a more literary direction with The Headmaster’s Wife, his most ambitious work to date. Like his father before him, Arthur Winthrop is the Headmaster of Vermont’s elite Lancaster School. Found wandering naked in Central Park, he begins to tell his story to the police, but his memories collide into one another, and the true nature of things, a narrative of of love, of marriage, of family and of a tragedy Arthur does not know how to address emerges. The Headmaster’s Wife explores the nature of family, of the hidden world of boarding schools, and how a love can both deepen and change over time as Greene explores the way that tragedy and time assail one man’s memories of his life and loves. Beautifully written and profoundly emotional, it stands as a moving elegy to the power of love as an antidote to grief.